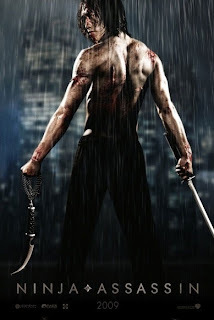 I posted previously that I will support Rain’s Hollywood movie Ninja Assassin. Keeping true to my promise, we just finished watching it. If you’re into action-martial-arts movie, this is definitely a must see. But for me I find it too bloody/ gory (I don’t think I can eat something reddish for the next couple of days). But still the story is very interesting and the action scenes are carefully executed. I am soo proud of Rain being another Asian to hit it big time in Hollywood. I hope to see more of him and hopefully in a romantic comedy film like his Kdrama Full House (one of my all time favorite) with Song Hye Kyo. I heard nga na it's a bloody movie. I admire you for having the guts to watch it!